Innovative e-Bike technology start-up, Swytch, is celebrating its first year after receiving an additional £795,000 boost from private investors. The start-up, which has generated almost £1 million in revenue to date, exceeded its crowdfunding target by over 500% back in 2017. 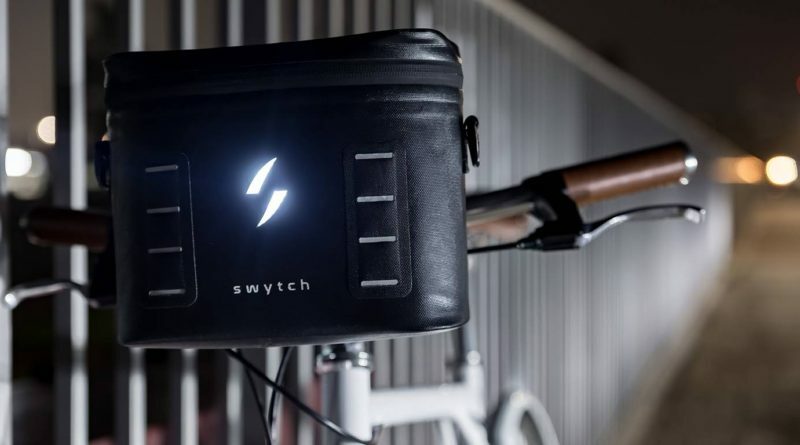 According to Swytch, its electric bike conversion kit has the ability to transform any bike into an e-Bike, and back again, in seconds. The innovative Quick Connection Swytch e-Bracket technology allows the system to be retro-fitted by consumers to any bike, old or new, big or small, avoiding the inconvenience and expense of taking your bike to a specialist. The standard Swytch Kit consists of a lightweight front wheel with a compact electric hub motor built in and a removable Power Pack via the Swytch Quick Connect handlebar bracket. The pack contains a lightweight battery, control electronics, user display, front bike light and a USB output to charge other devices. The power unit connects automatically when it is clipped on, so no need to plug or unplug any cables – simply start pedalling. With the power pack removed, the additional Swytch components add less than 2kg to any bike and will perform as an ordinary bike. The business’ recent round of investment has been gathered from a number of parties including the Startup Funding Club, Angels Den Funding, the London Co-Investment Fund, and Green Angel Syndicate (GAS) – the largest single contributor. The current range consists of five e-Bike conversion kits: A standard 250W Hub Swytch Kit with either 25-mile range (3-4 hour charge time), or 50-mile range (5-6 hour charge time), a narrow Swytch 250W 70mm Hub Swytch kit suitable for folding bikes (including the Brompton) available with either 25-mile or 50-mile range as above, and a high power 500W Hub Swytch Kit with 50-mile range popular in the US. 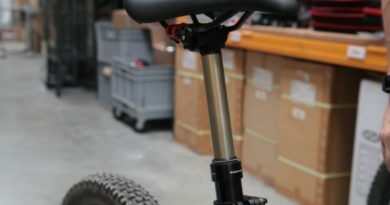 Swytch has struck up partnerships with a number of dealers based throughout the UK: Hub Cycleworks (Southampton), Green Park Bike Station (Bath), Bool’s Bikes (Bristol), Jake’s Bikes (Bristol), Bespoke eBikes (Cumbria), Pedal Assist (Leicestershire), Valley eBikes (Bolton), eBike repairs (Shropshire), Riley’s Cycles (Dorset), Hinton Cycles (Surrey), Cyclesport (Salisbury), DAI Leisure ( Birmingham), Temple Cycles (Bristol/London), Southsea Cycles (Portsmouth) and Broken Spokes (Cambridge). 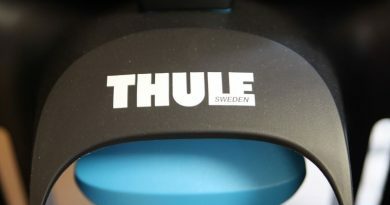 The start-up has also branched out in to Europe, with dealers in Germany, Slovakia, Czech Republic, Italy and Sweden, and has international connections in New York and South Korea. Swytch offers competitive margins and drop shipping arrangements to dealers, and attractive FOB Pricing to distributors interested in becoming the supplier for a particular economic zone and growing their own dealer network. 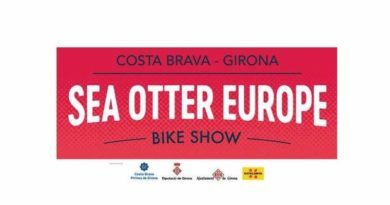 Contact: Trade@swytchbike.com for more information.